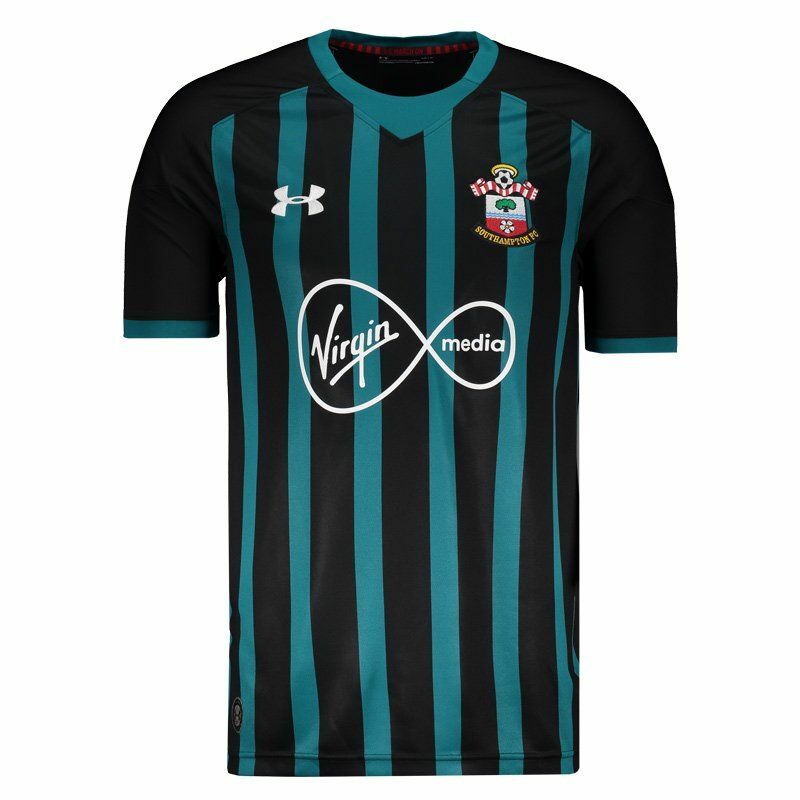 Under Armor features the 2018 Southampton Away Jersey. 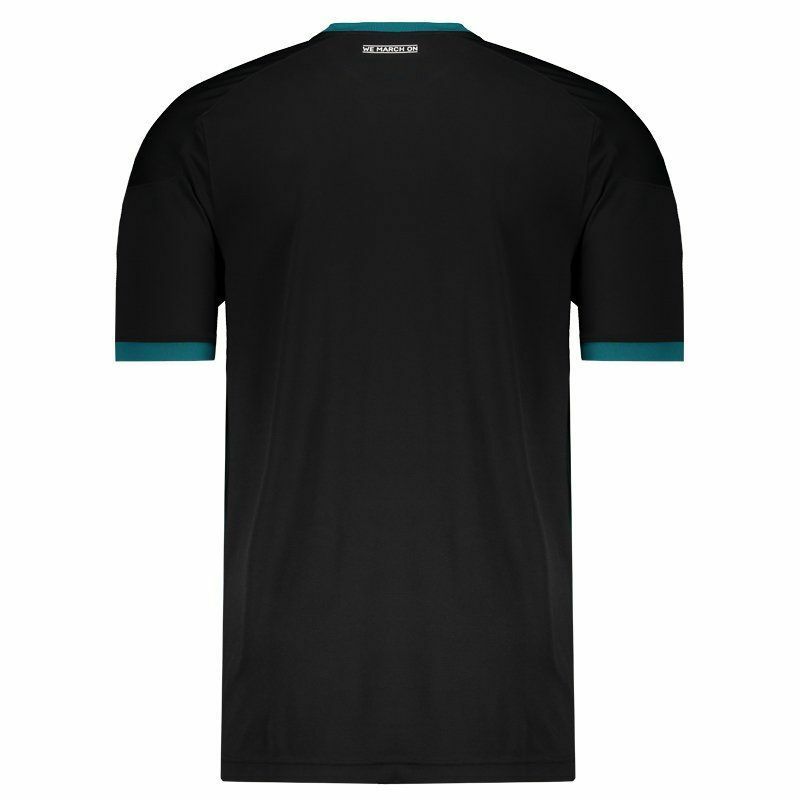 Made of lightweight, breathable polyester, it features HeatGear® technology and offers name and number customization. More info. 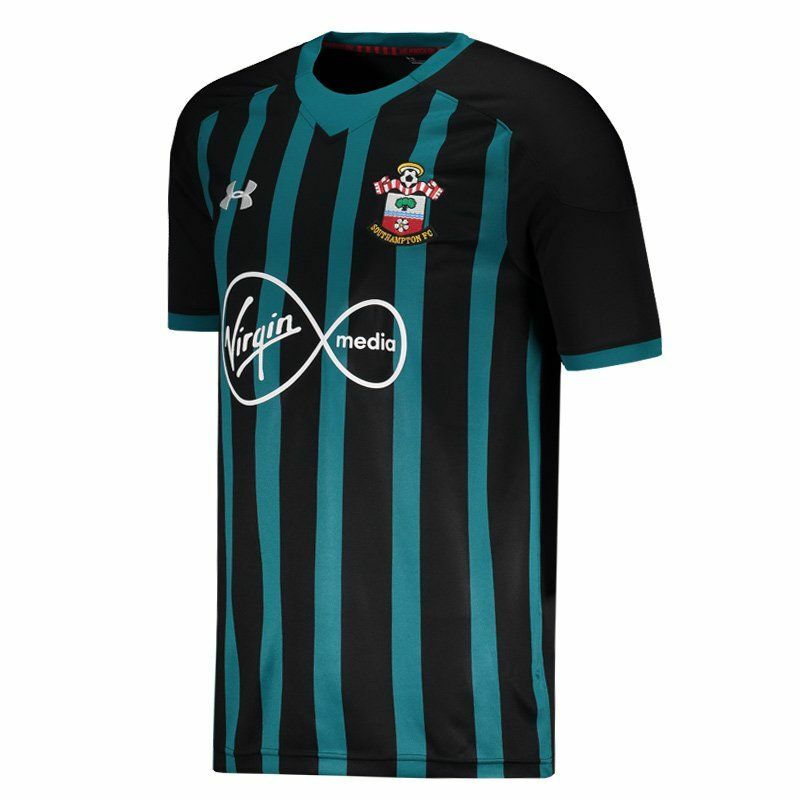 Under Armor features the 2018 Southampton Away Jersey. Made of lightweight, breathable polyester, it features HeatGear® technology, which absorbs moisture from your skin, bringing it to the surface of clothing and accelerating evaporation. This keeps your body cool, dry and light so you continue your activities with high performance. It offers customization of name and number using the official team font. The design is predominantly black with vertical stripes in oil green and features a ribbed finish on the cuff of the sleeves. 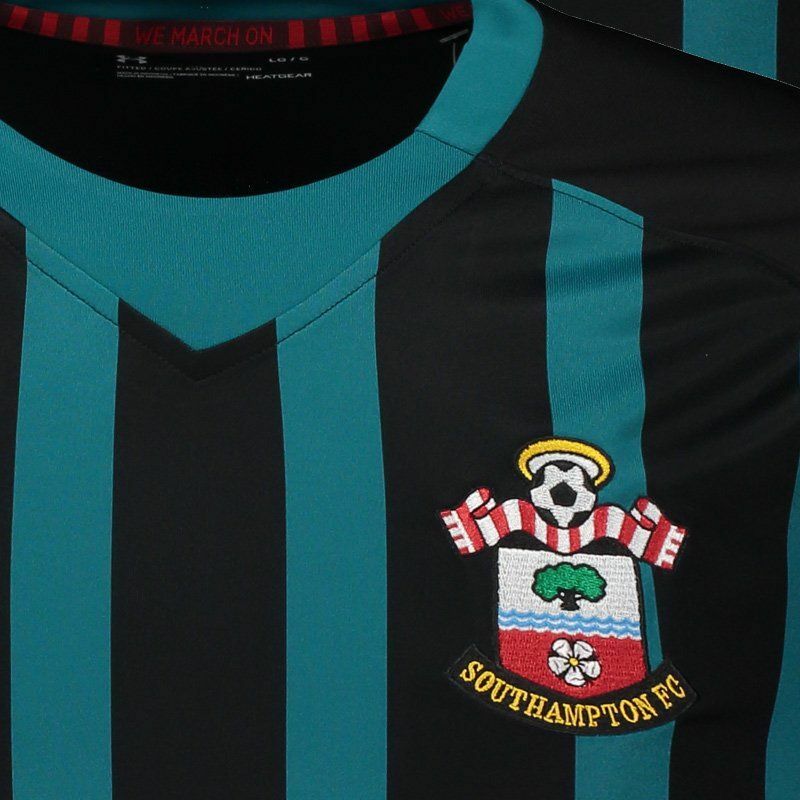 Already the collar is crew with differentiated cut, the badge of the team marks presence in the chest, embroidered, as well as the logo of the mark, of the opposite side. It also has the name of the featured sponsor. Finally, the phrase "We March On" completes the play.